Mystwood Burgundar's Events are held at the site of the same name, 40 acres in the heart of the charming woods of Southwestern Maine, in the town of Harrison. In-game, the Chronicles of Burgundar take place in a small, newly refounded village that borders the kingdom of Burgundy. Burgundar was founded by Norse peoples, and their cultures conflicted to such an extent that Burgundy gifted the territory surrounding the village to the Duke of Eastmarch... or so the story goes. After several years of settlement by the folk of Navarre, the village seems in many ways as unsafe as ever, with intrigue and enemies abounding. The Chronicles of Burgundar are run jointly by Bob Dunham, Carrie Johnson, and Levi Smith. 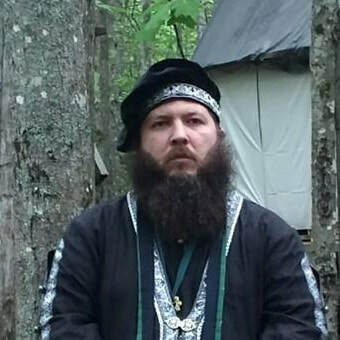 Bob Dunham is a 20+ year veteran of LARP in New England. Moving from a player of Mystwood, to a board member, to the CEO, Bob has steadily attempted to improve the quality of Mystwood through standardization, logistics, and organization. Bob's passion for LARP, medieval history, and fantasy come together in his attempts to improve the verisimilitude of Mystwood in ways that might not be immediately obvious to the player at an event, but which allow players and characters to pursue any goal in the context of a world that makes sense and is at once both familiar and mysterious. 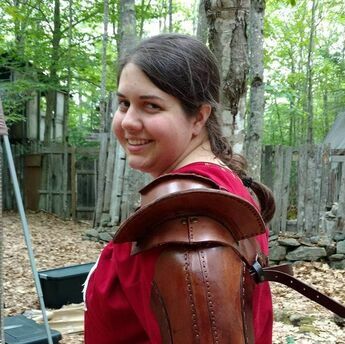 Carrie Johnson is relatively new to the LARP scene, having joined the Mystwood community in 2014. Since that time she has been a player and chronicle runner at both The Keep and Burgundar. In 2019 she became Game Master for the Burgundar chapter and the Vice President of the Mystwood Board. ​Originally from the distant lands of downeast Maine, Carrie comes from a theater background and has brought her passion for storytelling to the world of Mystwood. She hopes to help expand the world while bringing exciting and engaging stories for all players to enjoy.